Allvalves Online Ltd continue to grow year on year with its 6th year coming to a close, the company that started only in 2012 as experienced great growth once again. Allvalves continue to grow its market share in the UK and has once again grown its export sales this year. 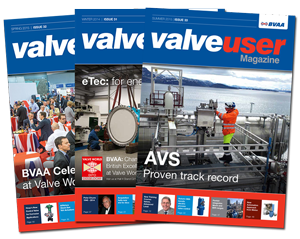 To celebrate the year, Allvalves will once again exhibit at the Valve World show in Germany, as part of the BVAA stand, for the 3rd show running. Always a beneficial show for the company, Allvalves have secured many customers from the 2 previous shows in 2014 and 2016 and hope to add to its export customer base which the show will give global exposure. 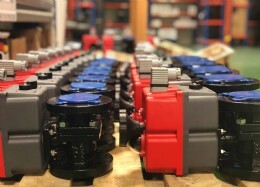 The company will be joined by AV Actuators to jointly present the range of smart compact actuators that Allvalves have been selling since 2016 and have allowed Allvalves to open new markets and customer applications through the products� capabilities. New products will be launched at the show. Allvalves won�t be joined this year by its primary partner for electric actuators, Sun Yeh, as it has been for the last two shows, as Sun Yeh will exhibit on its own booth, but Allvalves will continue to showcase Sun Yeh actuators. 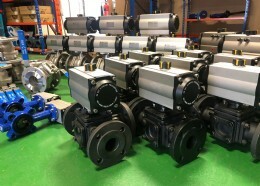 This will include the new range of OM Series of quarter turn actuators with ATEX approval, in addition to the SE ATEX mechanical spring return series. Allvalves will also showcase other key brands that they work with including the full range of Cepex Extreme plastic ball, butterfly and diaphragm valves, EBRO butterfly valves and Genebre industrial valves. These are the key brands that Allvalves work with and have had great success with. Allvalves growth will see the company move to the next phase of its development which is to grow the team with new staff joining the company and new markets to be served as new partnerships are formed. Allvalves will be adding new brands to its website, which is used by its customers from all over the world, with sales to all continents and over 75 countries supplied since 2012. As an ISO 9001-2015 certified company, Allvalves has more and more interest from around the world and it is likely that this will see other Allvalves divisions materialise over the coming years as part of the continued growth plan in place. Allvalves currently has an offer to take the company to the USA and establish a sales and distribution centre plans for this continue as well as plans for a mainland Europe location. With millions of pounds sold, Allvalves now looks to move from small to medium size business with this year looking to be the best year yet. 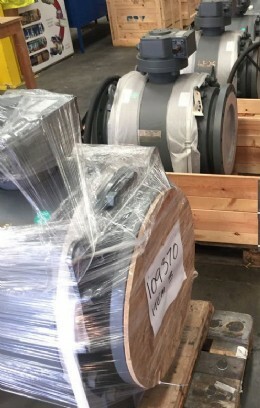 Some of the orders this year that Allvalves have supplied include a large �200,000 + order for a global customer in Asia for high performance ball valves, titanium ball valves for the leading fuel company in the world and various OEM based projects that have again seen thousands of actuators, valves and actuated valves sold around the globe. Visit Allvalves Online at the BVAA stand this year in Dusseldorf to see for yourself, why so many contractors, OEMs and End Users choose Allvalves Online Ltd.